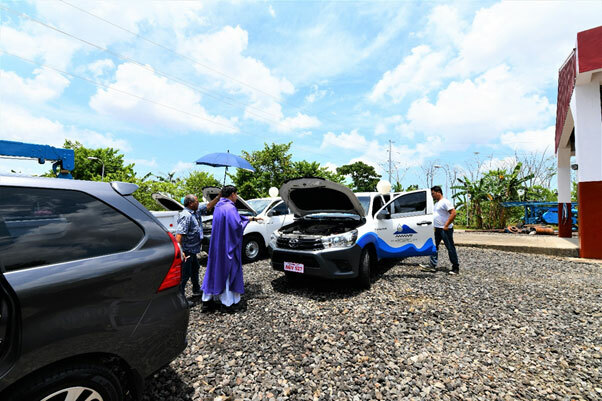 The Metropolitan Naga Water District (MNWD) recently held the blessing and inauguration of the Carolina III Pumping Station and four (4) newly acquired service vehicles on April 5, 2019 at Sitio Caromatig, Brgy. Carolina, Naga City. Rev. Fr. 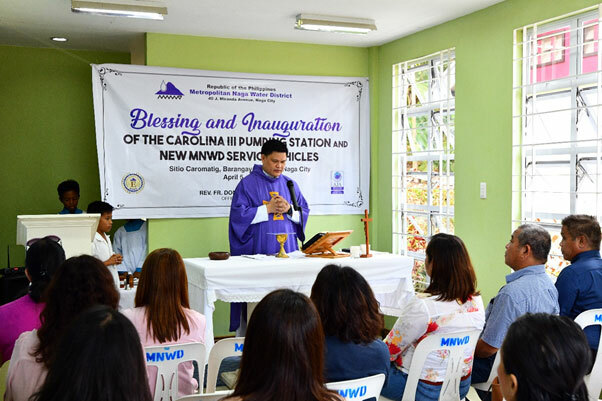 Domingo R. Florida from the Parish of Immaculate Conception, officiating priest of the said event, beseeched the divine blessing for MNWD’s continuity of operation and realization of its sustainable programs. He likewise expressed his gratitude to the entire MNWD community for ensuring availability of water to all the communities it serves. On behalf of the MNWD Board of Directors, Dir. Gilbert N. Albero (Business Sector) in his message, thanked the Management and staff of MNWD for their hard work and commitment. 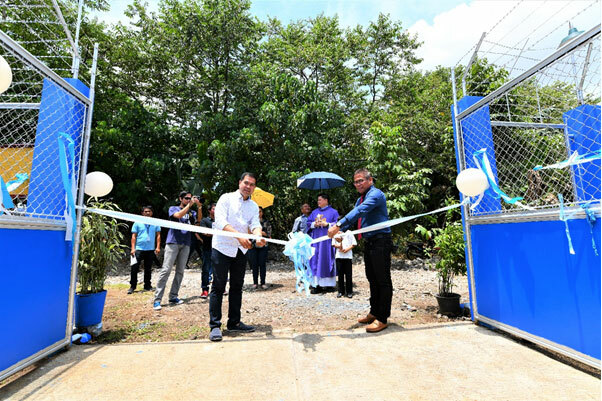 He added that the blessing of the pumping station is a testament of MNWD’s sincere efforts to look for ways and solutions to address the challenges in the water sector. 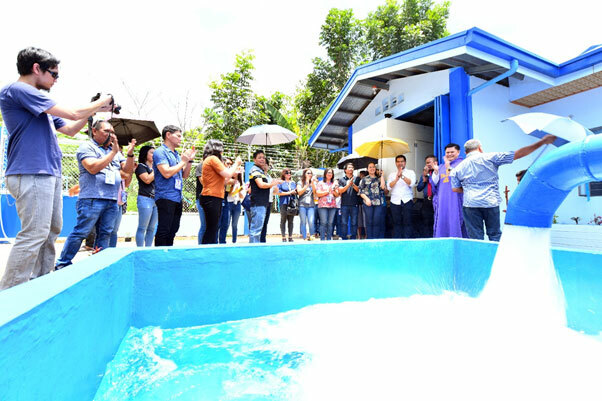 The injection of Carolina III pumping station to the water supply system is expected to boost the water supply capacity of MNWD as water production is at 80 liters per second (lps. ), considered to be one of the biggest production wells that the District has built. In his interview with the media, Engr Virgilio B. Luansing I, General Manager A mentioned a unique feature of the Carolina III pumping station – a free flow of 10 lps. – meaning that water supply is continuous even without the aid of a pump motor. MASS OFFERED. The Blessing and Inauguration of the Carolina III Pumping Station and new MNWD Service Vehicles was presided by Rev. Fr. Domingo R. Florida from the Parish of Immaculate Conception. CAROLINA III PUMPING STATION. Present at the ceremony were Dir. Gilbert N. Albero and Engr. Virgilio B. Luansing I (above photo), who facilitated the ribbon cutting event during the actual blessing of the Carolina III Pumping Station facility (below photo). SERVICE VEHICLES. Blessing of the new service vehicles was also part of the blessing ceremony participated in by the MNWD Management and staff.